OBX Campground was our base camp during our stay on the outer banks. It’s a small campground with only 48 sites. All of the sites are very large, gravel, and level. We had good satellite service,. The wifi service was 4G with four bars, and the free wifi signal was good as well, which saved us a lot of data time. The staff is extremely friendly and the daily rate $60/day – $300 /week is reasonable for the area. The only strange thing about OBX is that there’s a cemetery in the campground. It’s located in the wooded area behind the office. We never found out the story behind it, but I’m sure it makes for interesting camping during halloween. Regardless, OBX is an great campground and will be our go-to place if we’re ever back on the outer banks. If you’re ever in the area, we highly recommend staying here. a night and that is full service. By the pics it looks fantastic! Compared to most campgrounds it is pricey (and the highest I ever paid). 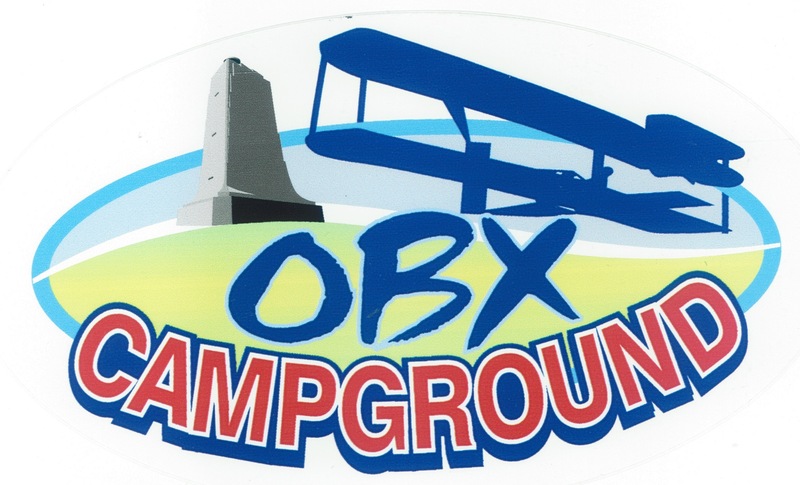 However, OBX is a big tourist destination, and there are only two campgrounds (other than state parks) and $60 /night is the going rate for both during the summer season. Thanks for letting us know! We’ve got to visit! It’s where we used to go from 1978-1985….and of course, now we have our MH. Good to see the sites. How busy/crowded was it? Surprisingly, OBX wasn’t as busy as I thought it would be. Yes there was traffic but not too bad. The campground was full most of the time, but it was always very quite and the staff is wonderful.